Buy your patch to easily lose weight! Are you looking for a solution to help you lose weight? Do you want to lose weight permanently and not take back your pounds after all your efforts? This patch can accompany you to lose weight. This patch rebalances your metabolism and your overweight. It helps you in your grip to regulate excesses, reduce cravings and make you lose weight faster. Moderate your appetite for a healthier diet. 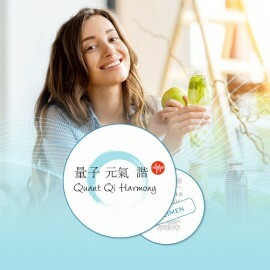 This patch will help you boost the results of your efforts, to have a more balanced diet, more varied, to lose pounds faster and not to take them back afterwards. To get all the effects, the patch should be worn every day on the skin, ideally day and night. You will feel the effects of the patch after wearing it for several days and do not hesitate to continue wearing it even if you feel better. Have a nice breakfast! A perfect breakfast consists of starches (full bread), fruit for vitamins (avoid industrial fruit juices too sweet) and a drink if possible without sugar (coffee, tea, water, etc.). Do not skip meals! Skipping a meal is an enemy of a diet and a weight loss. It unbalances your body that will store more fat at the next meal. Do not eat outside of meals, or, if you are hungry: a handful of oilseeds (almonds and nuts without salt for example), dried fruit or an appel! Remove alcohol, milk and sodas, which contain a lot of sugar and too many calories. Make your weight loss easier and reduce your cravings!